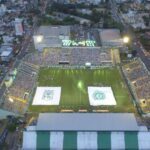 [W]ith the aggregate score at 1–1, the outcome of Wednesday night’s second leg of the Copa Sudamericana final between Atlético Nacional and River Plate seemed to hinge on all the vague platitudes sports writers dig up when mere tactics don’t seem to explain what happens down on the field: Heart. Passion. Fire. Etc. But tactics is the only language Nacional head coach Juan Carlos “Profe” Osorio speaks, and looking back at these finals, it’s difficult to understand what he was trying to express. 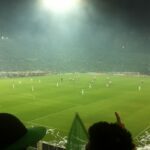 In the crucial match, before 68,000 fans at El Monumental, Osorio did away with his 3–5–1–1 formation, opting instead for a standard back four that was as porous on the flanks as it was weak through the middle. Nacional’s usually fine-tuned passing buildup languished for lack of options in the midfield, and burly target-man Luis Carlos Ruiz offered little relief from an unfamiliar position on the wing. As a result, the high press that set the tone for the first electrifying 45 minutes of the series never had a chance (Osorio abandoned it when an injury in the first leg forced him to make a substitution), and without a reference point up top, playmaker Edwin Cardona struggled to work himself into dangerous spaces. Nacional’s two best chances gave a slight indication of what Osorio might have had in mind. In the 32nd minute, Cardona, well outside the area and with his back to the goal, played a brilliant back heel to a streaking Ruiz, who cut in and curled a low shot just wide of the right post. Seven minutes later, Cardona received a pass from Ruiz on a perfectly timed run into the box, but River captain and keeper Marcelo Barovero made an awkward-looking but ultimately comfortable save with his foot. Unburdened of the yellow card he had been playing on in the first leg, holding midfielder Leonardo Ponzio did things that would be censored out of Shark Week. On the whole, though, the calculus Profe Osorio is constantly working through in his famous notebooks looked like a whole lot of gibberish on Wednesday night. Late in the game, he seemed to recognize his mistakes, reverting back to three defenders and bringing on an additional winger, but the game had already run off the page. River’s approach, by comparison, was almost elegant in its simple ferocity: hack down anything that can’t be slide tackled and run hard and fast at whatever is still standing. Unburdened of the yellow card he had been playing on in the first leg, holding midfielder Leonardo Ponzio did things that would be censored out of Shark Week. To the extent that there was a strategy to the home side’s attack, it involved forcing play down the right, with the indefatigable Carlos Sanchez running out of the midfield and combining with speedy fullback Gabriel Mercado to expose the holes in a flat Nacional backline. The rest, and the best, of River’s chances came off high turnovers and Leonaldo Pisculichi set pieces. If it hadn’t been for Nacional keeper Franco Armani, an Argentine playing his first game in the national stadium, River might have put in four goals in the first half alone. Franco Armani wanted it, as did captain Alexander Mejía. Mejia, one of the few Nacional players comfortable with the level of physicality, fought like a demon to keep the midfield from being completely overrun. It was in the 54th and 58th minutes that River finally broke through, but they did it on a pair of corner kicks. Pisculichi, the author of the tying goal in the first leg, drove his outswingers into the heart of the box, where they found two defenders — Mercado and German Pezella — who put them away. The next half hour was a warm up for the celebration that engulfed El Monumental at the final whistle and lasted well into the early morning. Having won its first Argentine championship since the humiliating 2011 relegation, this River team beat three Argentine rivals on its way to the finals, including in a semifinal matchup against eternal rival Boca Juniors. It was rarely pretty to watch, but there will be no talk of upsets or flukes now that the tournament is over. Fans of Nacional, too, are proud of their team. Their club claimed decisive road wins in four straight rounds leading up to this point, its first international final in 12 years, taking down São Paulo FC, arguably the team of the tournament, at the Morumbi. The Colombian club adds its runner-up finish to an historic run of three domestic championships, all accomplished with a style and professionalism that merit recognition among the elite on the continent. Steve Cohen is the editor of Colombia Reports. He lives in Medellín, Colombia, and tweets under@SD_Cohen. 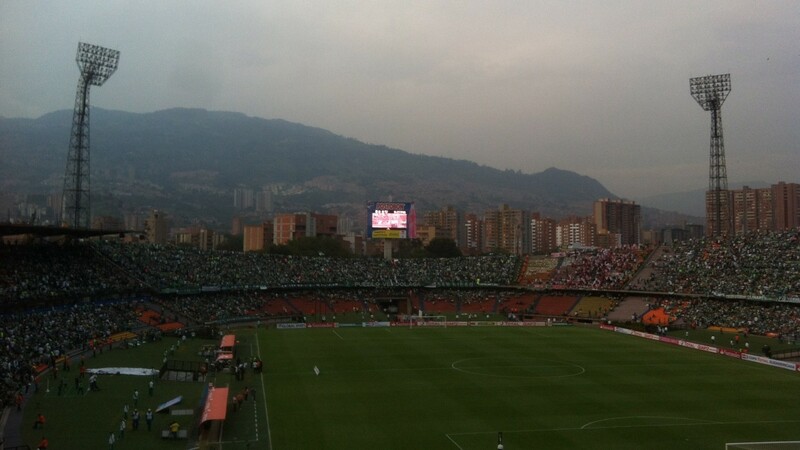 The image above was shot by the author during the first leg in Medellín.